Craig is a litigation lawyer and has practised employment law since his call to the Ontario Bar in 1993. He has wide-ranging litigation experience with particular emphasis on employment law, commercial litigation and matrimonial matters. In Craig’s employment law practice, he provides skilful advice and counsel to employers and employees regarding the preparation of employment contracts, termination packages and wrongful dismissal claims. He has extensive experience in advising employers and employees in matters related to the creation, management and termination of the employment relationship. He has assisted clients in drafting employment policy manuals. Craig has extensive experience in responding to human rights complaints. He assists parties through the disability management area as it addresses both the workplace and the employee. His ability to see both sides of the employment relationship makes him uniquely qualified to represent both employers and employees. Craig has presented and delivered informational and instructional sessions on managing the employment relationship for employers and has educated his clients on hiring, firing and everything in between. His commercial litigation practice ranges from collections to shareholder disputes. His commercial clients include large national corporations and smaller closely-held corporations. He also handles all manner of family law matters including separation agreements, divorce, property division and custody disputes. Craig has extensive experience preparing cohabitation, marriage and separation agreements. He believes in negotiating toward a cooperative settlement where everybody wins, especially the children, before he pushes a matter through the Courts. Craig has been a frequent speaker at seminars concerning employment advocacy matters and has litigated successfully at all levels of court in the Province. 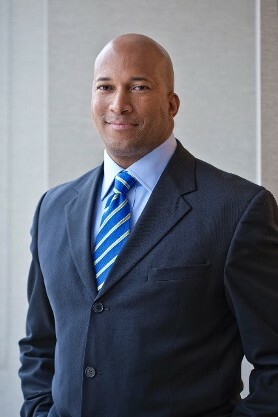 In 2011, Craig was the proud recipient of the Traditional Law Practice Award from the Canadian Association of Black Lawyers. Craig is also a trained mediator and is a member to the ADR Institute of Canada. Prior to joining RZCD Law Firm LLP, Craig practised at two mid-sized Bay Street law firms and for the last 12 years, he was a principal partner in his own firm in Toronto. Contact Craig today in Mississauga, Ontario, to hear more about his practice.